Some home sellers neglect to ask themselves if staging their home is an option when putting it up for sale. For some, it is just an added expense. What they fail to realize is the value it adds to prospective home buyers. We’ve spoken to a top Toronto stager, Joan Ostlund at Elements ReDesign, to deliver you the pros of staging your home. What are the advantages of hiring a professional stager? Professional staging is about creating a product and depicting a lifestyle to target potential buyers. It’s an investment in marketing. Ninety percent of buyers search online for their next home, so first impressions matter. Your listing has to stand out. Staging highlighting the positives, minimizing the flaws and downplays the negative features, presenting the home in the most positive light. Is it ideal to hire a stager if homeowners can do the cleaning themselves? Owner-occupied homes, in particular, benefit from professional staging. A Stager will supply a fresh eye, and see the home the way buyers see it. By identifying problem areas, editing the current furnishings, deciding what to move out or store, and adding additional rental furniture and accessories, they maximize a property’s potential. There are no shortcuts when it comes to staging. Every home on the market deserves to look its best! How will staging help sell a home? Studies show that a well-staged home sells faster than the competition, maximizing potential offers, for a higher price, especially in the age of online real estate listings. Click the images to see the before and after photos. What does the overall home staging process look like? The process begins with a walkthrough and consultation with the homeowner and real estate agent. Next is a customized staging plan that incorporates the desired scope of work and identifies inventory that will create a cohesive design, using some of the homeowner’s own furniture. Once the home is staged, professional photos are taken. After your home is sold, a date is scheduled to pull the staging items. What style is best used to sell better? In general, furnishings are kept minimal, and the overall palette neutral, adding light coloured furnishings and carpets, bringing in additional lamps and lighting and adding pops of colour with art and accessories, to create a bright, elegant feeling space. The furnishing should never compete with the architecture, so space is enhanced enough to really show off and focus on its selling features. Cost depends on many factors – the scale of the project, hours required, size of the home and location. There is an initial consultation fee for a verbal walkthrough, and then a quote is put together to supply rental furnishings and project management as needed. 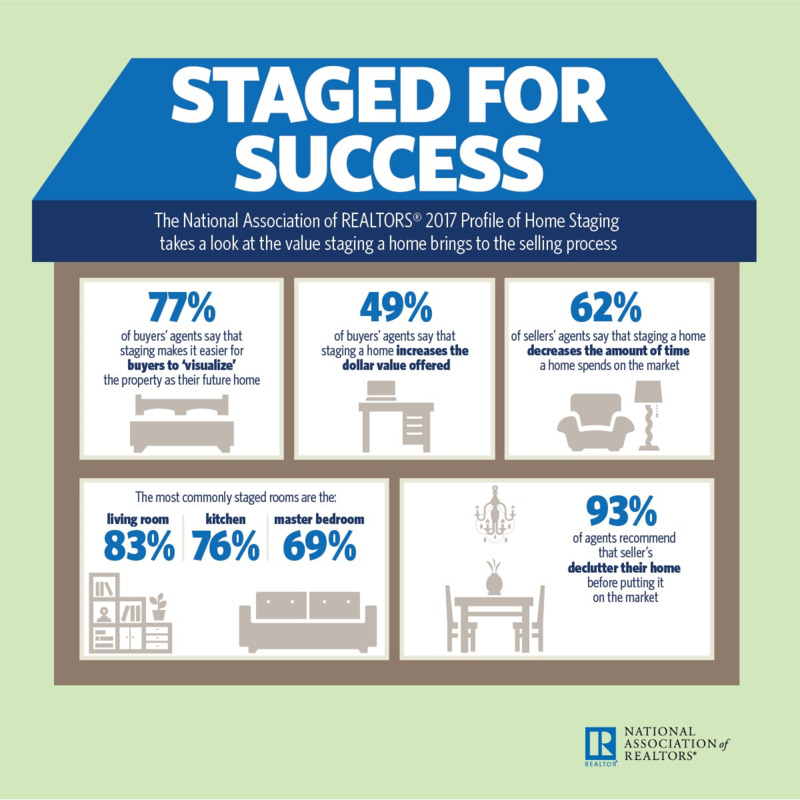 Do home stagers have access to resources that the average homeowner does not? Stagers have access to warehouses of rental furniture to choose from when making their staging plan. Usually, they have a list of trades and professionals that they have worked with over the years and can recommend. What advice can you give homeowners on preparing their home for a sale? Declutter and deep clean - appliances, bathrooms, cabinets, windows, carpets. Closets should be partially emptied to create the sense that there’s plenty of storage space. A neutral coloured fresh coat of paint gives the highest return on investment. Identify problems that could turn off buyers, and fix them before listing. What should I look for when hiring a home stager? Agents and sellers should choose an experienced stager with an excellent portfolio and access to top quality furnishings. For your real estate needs, click HERE to contact Jethro.